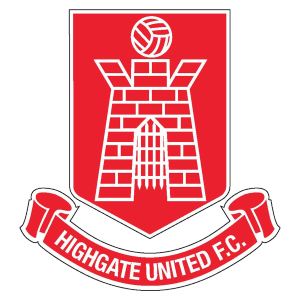 HIGHGATE United were outclassed 4-1 by a tricky Lye Town at The Sports Ground on Tuesday night. Jack Till’s hat-trick for the hosts downed the Gate, as the Black Country side produced a dominant display of attacking football to romp to a deserved win in the MFL Premier Division. Bradley Catlow was on hand to produce a number of saves to keep the scoreline down, but even still was unable to keep out the rampant Black Country side who ended Highgate’s four-match unbeaten run. Enforced changes in the form of Dale Taylor, Marco Adaggio and Duane Courtney saw their inclusion in the starting line-up, but they were unable to impact on Till firing his first of the evening after picking out the bottom-right corner. McCauley Manning almost brought Gate level when forcing Kieran Boucher into a superb save, going closer still to finding the net when crashing his 25-yard free-kick against the left-hand post and out of play via Boucher’s back. Highgate looked to be building a route back into the game but were sent further behind when Till gave chase for a clearance down the left flank and exquisitely lobbed Catlow from 30-yards out in the 32nd minute. Lye continued to threaten thereafter and struck a third through Lewis Probert, the full-back beating Catlow, before Adaggio netted an 80th minute consolation when slamming a shot home from close-range after substitute Jermaine Clarke crafted the opening. Till slotted his third in stoppage-time to add further woe to Gate’s night. Highgate will be hoping an away trip to Coventry United at Butts Park Arena on Saturday (3pm) will be the perfect tonic to get back on track, before facing Old Wulfrunians on Tuesday night (7:45pm) in the JW Hunt Cup at Castlecroft Stadium. Elsewhere at the club, manager Ashley Pulisciano has been busy on the transfer front to bring in former Redditch United forward Jermaine Clarke, alongside ex-Villa man Lee Hendrie.